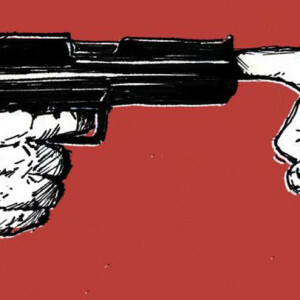 Video: Are Handgun Disarms Actually Effective? I’m not sure how I missed this post on Embrace The Recoil’s Instagram page, but I did. Old or new, it’s always worth a share to show what a squib load looks like and how to tell if that’s what just happened to you. The video above is from YouTube and shows two different squib loads, and also gives some information on what a squib load actually is. If something doesn’t seem right, ALWAYS check your firearm. This includes the barrel. With your firearm unloaded, use a cleaning rod to see if any obstruction is in the barrel. ***Important Post*** VOLUME UP . We actually got a squib round on video today. This is the 5th one l’ve seen in the last few months. This was NOT reman ammo. It’s ammo made by a huge manufacturer. 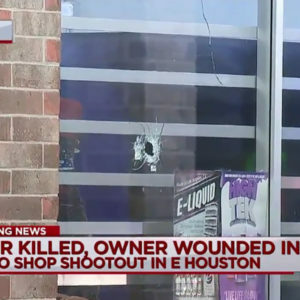 It can happen with any ammo from any company. I had one and because of @landersweaponsystems I knew what it was. So I made a post when I had mine. That post got me two DM of it saving people from their squibs. So tag a friend, reshare the video, let’s spread the word. Luckily we caught this one right away. 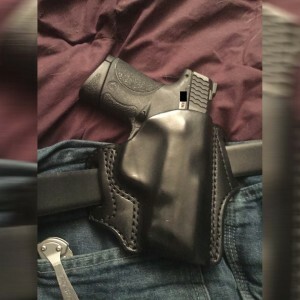 If you don’t and you tap, rack you can blow your gun up, hurt your hand/face, or people around you. Sounds like the old cap guns you use to play with. It’s a unique sound. @ro_edc caught it perfectly while slaying plates at 25 yds. 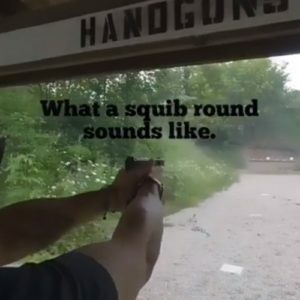 Yea that’s me yelling, I don’t mess with squibs  #gun #guns #travel #pistol #rifle #ccw #cpl #glock19 #pa #letfreedomring #tatargets #pewpew #suppressor #gunlife #michigan #grandrapids #america #pewpew #gopro #rifles #squib #squibround #ammo #misfire #pistols #reloads @truexodus @carrytrainer @thesheepdogdefenseproject @gunsdaily @sickguns @glockinc @glockfeed @2alpha2quit Thank you @finesthourllc for the video.